Bildau & Bussmann is one of the largest manufacturers of wood and wood clad windows and doors in Germany. Their products can be found in custom and historical structures in Europe, North America and East Asia. The company’s singular objective is to provide “state of the art” products to discriminating architects and clients. Wood choices include (but are not limited to) Sipo Mahogany, Siberian Larch, Meranti, Walnut and Oak. As evidence of their engineering skills; they offer fixed sash and direct set picture windows in sizes up to 90 x 120. The architectural integrity of CGI’s Estate Series enabled it to be selected for the renovation of the prestigious Breakers Hotel in Palm Beach. CGI’s Sentinel Series combines exceptional impact ratings and crisp designs with extremely competitive pricing. Coastal is versed on these aluminum products as well as CGI’s new Targa vinyl series. CGI Commercial is committed to being a trusted partner with architects, engineers, glaziers and dealers in the commercial market. Offering pre-glazed storefront window and door systems configured for some of the most demanding commercial and residential applications in the industry. With CGI Commercial you will continue to see their name providing customers with personal services, product reliability, integrity, quality and on-time delivery. Euro-Wall Systems continues to focus on providing the highest grade products available. Whether its the largest panel, widest opening or highest design pressure, Euro-Wall pushes the envelope to set the benchmark for the industry. Fleetwood Windows & Doors promotes their multi-slide and sliding pocket doors as being the “Greenest” in the industry. Their products are built with recycled aluminum & glass. Inert coatings and finishes are offered. 100% of their aluminum scrap is recycled. Fleetwood is the “Leeder” in providing LEED certified homes with green friendly windows and doors. INMOTION lets you control your surroundings with a touch of a button. We automate any type of exterior or interior sliding door system—from curved to corner to pocket—gracefully uniting your outdoor and indoor living areas into one magnificent space: Smart-Home Compatible, Motion and Safety Sensors, Battery Back-Up, Party Mode Option, Wireless Communication enabling connection with “The Internet of Things” supported with our Concierge-Level of Service. Kolbe summarizes it best: “To be honest, we’re not for everyone. We are for a select group of architects and discerning individuals who are taking home building to new levels.” The Ultra Series, Kolbe’s line of extruded aluminum clad wood windows and doors, offers a variety of exterior finishes, interior finishes and performance standards. Mahogany all-wood impact windows are included in their Heritage Series. A 110-year old company, Loewen crafts windows and doors that possess both a rich heritage and a striking beauty. Their Storm Force windows and doors incorporate intelligent design, traditional styling, standard Douglas fir or Mahogany interiors, extruded aluminum cladding, superb energy efficiency performance and maximum coastal protection against the harshest elements. When the project calls for flexibility, Panda has the solution. Options are the key to Panda’s custom sliding & folding glass door systems. Through a wide range of options, they strive to execute extraordinary residential and commercial designs as imagined Example: Panda’s IS.14 is the largest impact Lift & Slide in the industry. Maximum panel width is 60 inches. Maximum height is 144 inches! PGT’s ranking as Florida’s largest manufacturer of aluminum and vinyl impact windows & doors has been accomplished by creating solutions for a broad spectrum of needs. Many dealers offer PGT, but few can match Coastal’s volume. We know PGT. Weather Shield has been committed to making windows and doors the best way they know how-- by putting the wants of their customers first. Today, this philosophy remains the heart and soul of everything we do. Their focus on innovative and flexible solutions clearly distinguishes Weather Shield from other window and door companies. It's the reason they offer more styles, shapes, sizes and options in more product lines than anyone else in the industry. It's what drives them to design, engineer and manufacture the highest quality, most energy efficient products possible. With a focus on style, blended with ultra-high performance ratings, WinDoor has become a frequent choice for five-star resorts, luxury high-rise condominiums and celebrity mansions. 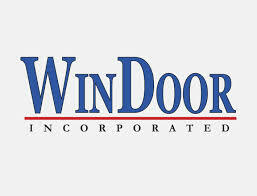 WinDoor further distinguishes itself with some of the largest impact approved windows and doors. They are an industry leader in thermally broken (controlled) aluminum frames that enhance energy savings.